From 1979: The JAMES BOOD 007 MOONRAKER SPECIAL (read: annual). World are not exactly known for the quality of their publications (did they ever look at anything their competitors were doing?) but this is one of their better efforts, with plenty of on-message material about the movie. 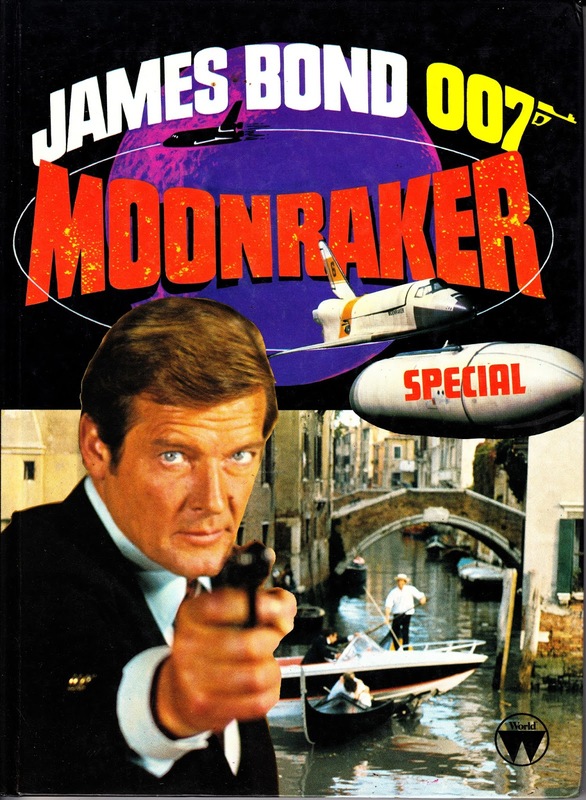 From memory, and probably because the book is a Moonraker rather than general BOND spin-off, there are no comic strips inside. You're right, no comic strips but plenty of behind the scenes stuff and those "fact files" so beloved of this kind of thing. that cover is a real cut and paste job although its quite eye catching. the latest IDW collection of spidey newspaper strips with some fairly bizarre storylines. issue 2 of the Hasbro sourcebook. future, still in recycle mode have published a second edition of the 100 GREATEST GRAPHIC NOVELS bookazine. and - cue drum roll.... ROBOTECH has returned in comics form.